I currently have several works in progress, but am only sharing two today. The first is a quilt I’m making for my newest grand Cali, who was born on August 8th. 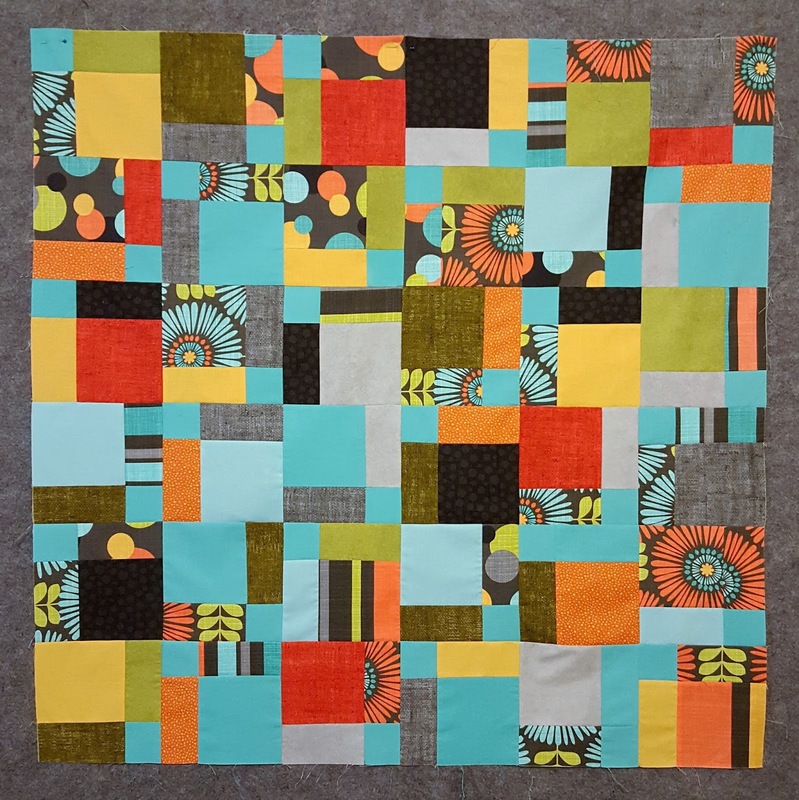 The pattern is a Disappearing Nine Patch and the fabric collection is Hashmark for Michael Miller. Cali’s quilt will be finished soon! Me and some friends sew together the 3rd Saturday of each month. Most of the time we work on our own projects, but occasionally we plan to make the same project. 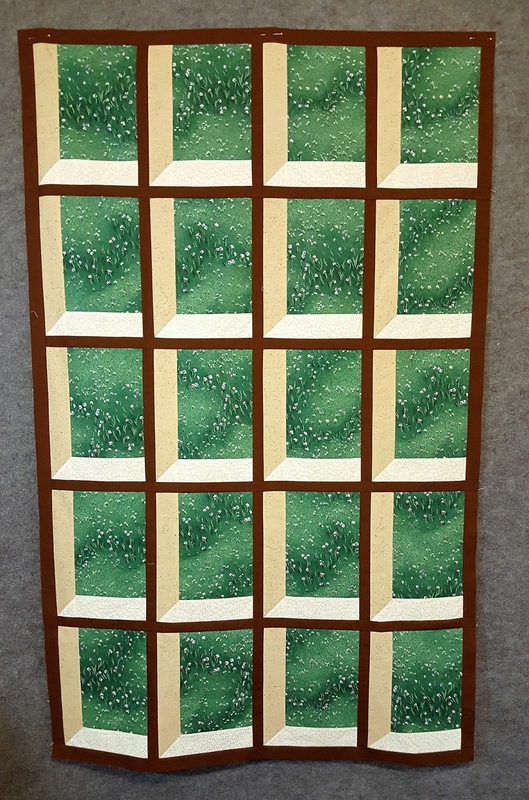 Last month we decided on an Attic Window quilt inspired by the Missouri Star Quilter’s Attic Window Tutorial. The tutorial called for a panel, but I didn’t think any of my panels would look good as an Attic Window. So instead I chose to use this older Springs Industries fabric that I’ve dubbed Flowers in the Meadow. I think it works perfectly! Don’t you agree? I’ll be adding borders and hopefully have this finished soon as well. Until next time, God bless and happy stitichin’! Your disappearing nine-patch looks great. I love that it's mostly solids/near solids with a few bold prints. 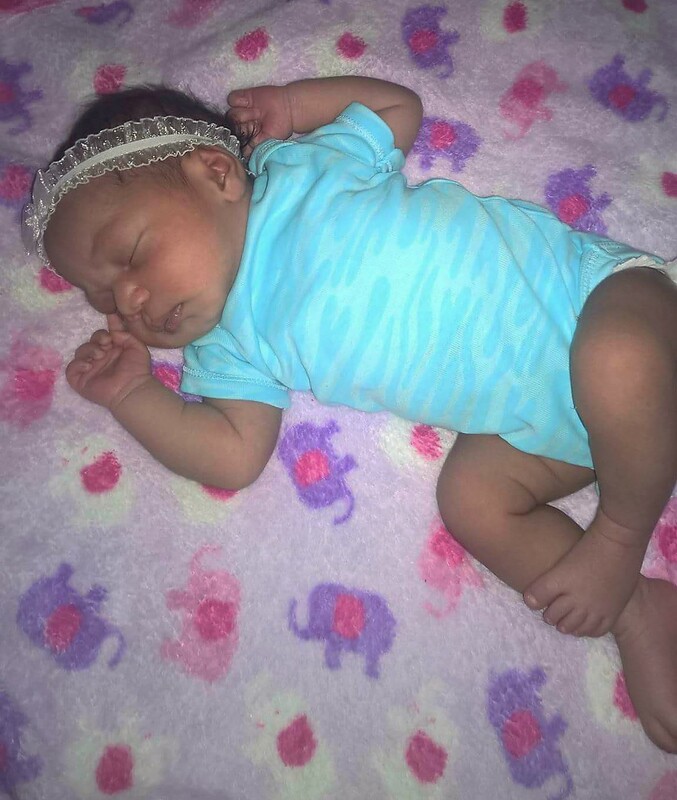 Beautiful – both baby and quilt! Zenia Rene, your attic window quilt reminds me of looking at falling snow. We used to turn on the outdoor lights at night and watch the snow come down – fascinating, in a strange way! Thanks for sharing on Midweek Makers – can't wait to see your finish. I haven't been by in a while, and obviously have missed the latest edition. Darling, beautiful, and I'm sure well supplied in quilts. The warmest congratulations to you and all the people welcoming this sweet child into the world you know! Good luck with your WIP's. And have fun with Cali.